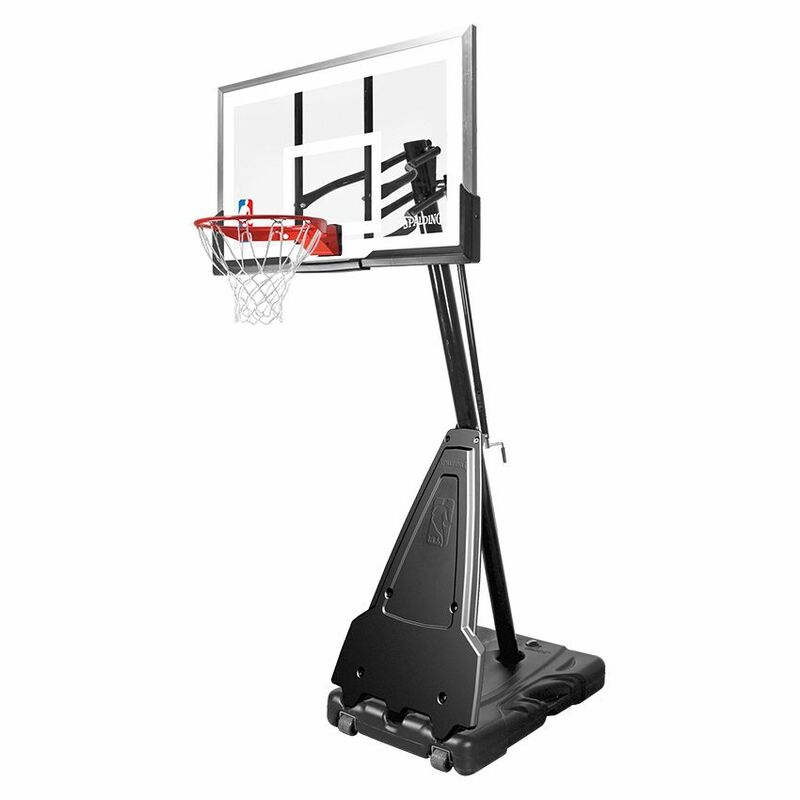 The Spalding NBA Platinum Helix Lift portable basketball system is a quality piece of equipment for playing and practising basketball skills. It boasts a transparent acrylic backboard and an Arena Slam Jam Ring with a flexible rim suspension for excellent playability and response. The pole is tetragonal and three-part and the rim height can be changed between 228 and 305cm (90 and 120”) using the simple Screw Jack Elevator System. The frame is strong, made of aluminium, weatherproof and stainless. The backboard displays the NBA and Spalding logos and the water level in the base can be controlled for optimum stability. for submitting product information about Spalding NBA Platinum Helix Lift Portable Basketball System (core) We aim to answer all questions within 2-3 days. for submitting product information about Spalding NBA Platinum Helix Lift Portable Basketball System (core). We aim to answer all questions within 2-3 days. If you provided your name and email address, we will email you as soon as the answer is published. for submitting product review about Spalding NBA Platinum Helix Lift Portable Basketball System (core).